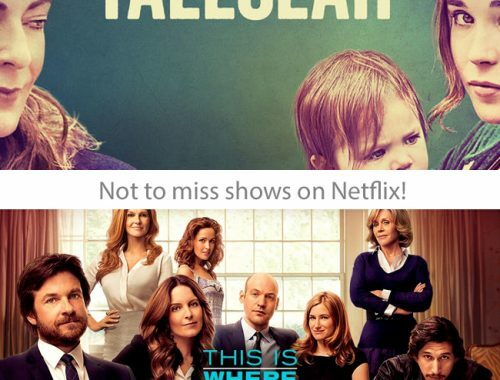 9 Movies to Binge Watch on Netflix this Summer! 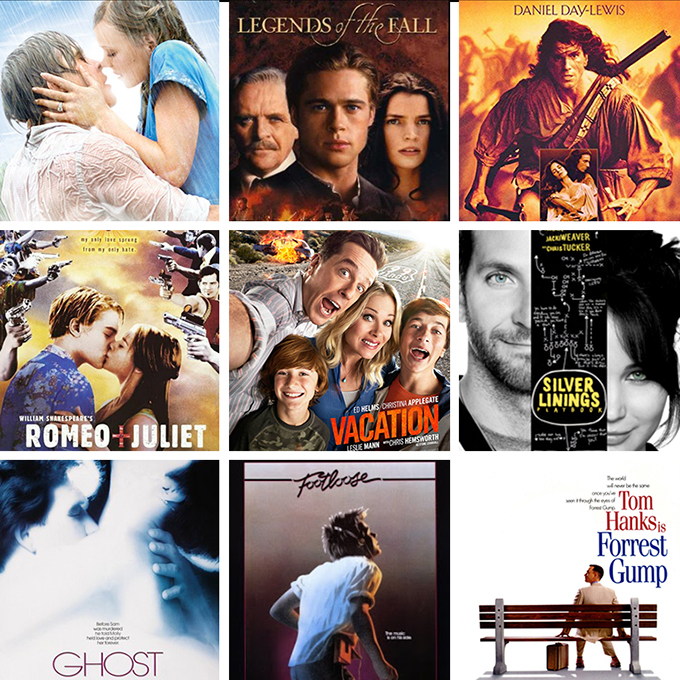 Looking for movies to entertain yourself this summer? 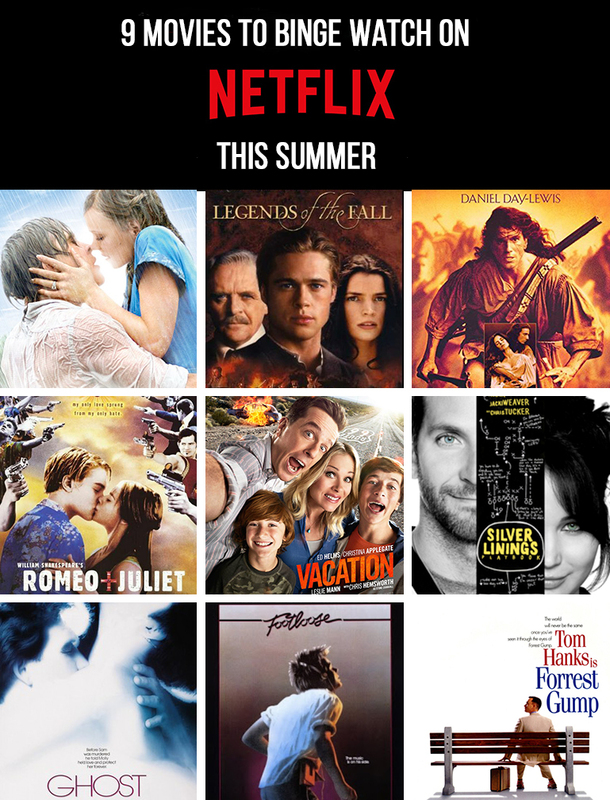 Here are 9 Movies to Binge Watch on Netflix this Summer! Summer is here, and man am I ever happy about it! No more soccer, rugby, exams and car pooling…just free time, sleeping in, camping, beach time and plenty of time to binge watch movies! Summer bliss. While we don’t watch a tonne of TV in the summer, especially during the day because we’re busy, but there’s nothing like sitting down to watch a movie after a full day. It’s one of my favourite ways to wind down after a busy day. So I am pretty happy to see some of my most favourite old movies are on Netflix…I’ve got plenty to watch this summer! A classic. This is one of my most favourite love stories of all time…sigh. Remember this movie?! A throwback to 1994…and when I really truly fell in love with Brad Pitt. That hair though. This was one of my favourite movies of the 90’s! I can’t wait to watch this one with my teens this summer. This is such a good movie…I can’t believe how young Leonardo DiCaprio and Claire Danes are in this one! Oh, and this movie has the best music soundtrack. I still haven’t seen this movie, but the ads on TV were beyond hilarious…I’ll be watching this one first. I remember seeing this movie in the theatre and loving the chemistry between Jennifer Lawrence and Bradley Cooper. This is a great movie and I can’t wait to watch it again. Oh Ghost. A movie everyone needs to see. I bawled my eyes out at this movie. I still can’t listen to Unchained Melody without getting weepy. If you’re going to watch the new Footloose, you must watch the original…it’s a classic. Run Forrest Run! I haven’t seen this movie in ages. So excited to see it on Netflix this summer! 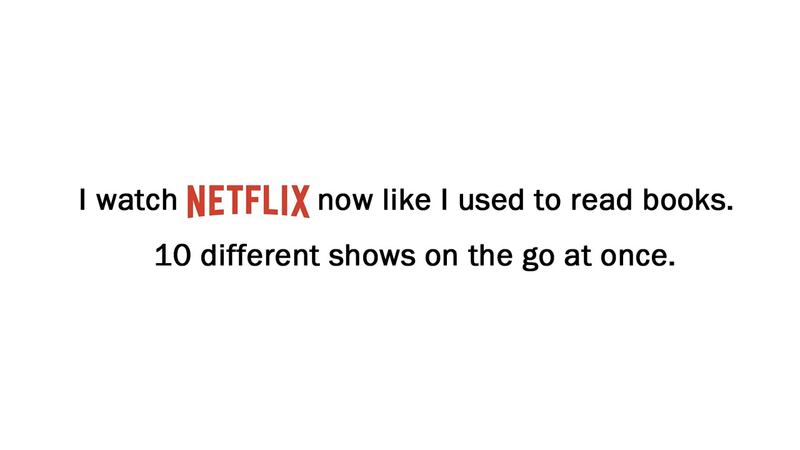 And don’t miss 15 Throwback Movies to Watch on Netflix! 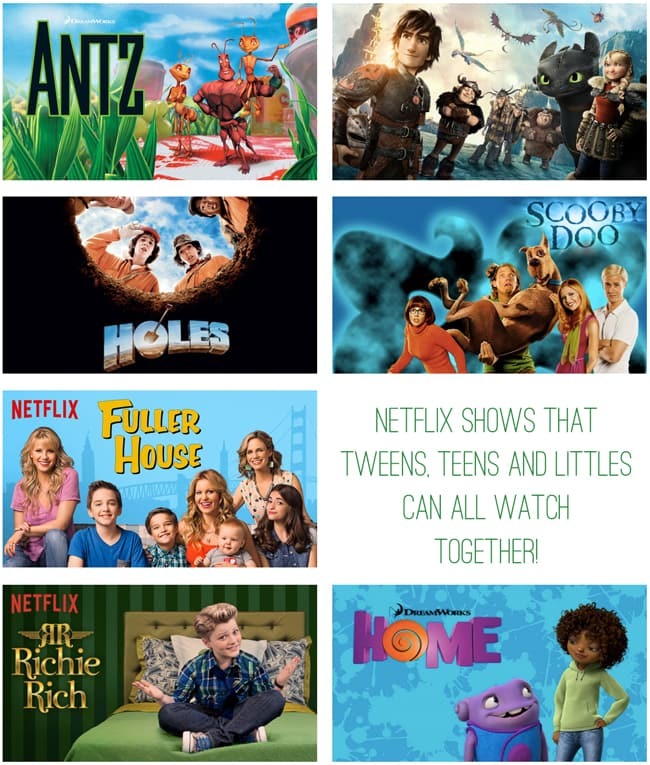 Netflix shows that your teens, tweens and littles can watch together!